How to Identify Asbestos In Your Home? In the 19th and 20th centuries, it was standard practice to use asbestos in homes. It was a widely used building material because it is extremely strong and durable. Asbestos material is inexpensive to manufacturers and possesses the ability to shield heat and protect your home from fire to a certain extent. However, with all these qualities, asbestos causes serious health risks. Let us discuss asbestos exposure in homes and its health risks in a step-by-step guide. It is impossible to determine that a material used in your home contains asbestos simply by looking at it. You will need the expertise of professionals to identify the exposure of asbestos in your home. A professional asbestos inspector will be able to examine your home and determine the best course of action if there is presence of the substance. Asbestos exposure happens during swallowing and inhaling the fibers and tiny particles. These particles become airborne when the substance is disturbed and broken up. When asbestos is manipulated in any way or is broken, its fine tiny particles get released into the air, where it can be inhaled by people living around the area of exposure. Generally, asbestos material is safe as long as they stay in one piece. However, if they are disturbed or broken by the demolition or renovation of a house, they can become airborne and threaten the health of those people in the indoor environment. The only and permanent solution to the asbestos problem is its safe removal from your home. However, this process is risky if not done properly. You should hire a professional contractor for this process. Where Can Asbestos Usually Be Found? Fortunately, the use of asbestos has been highly regulated during the past 2-3 decades. However, older homes and other commercial buildings may contain materials that were affected by asbestos fibers. If you are planning to renovate or demolish your house, it is very important to know where the material may be in your home and if you can prevent it from getting airborne. Some of the common places at home where you can find asbestos are the floor tiles, roofing, duct system, ceiling tiles, as well as embers & artificial ashes found in gas fireplaces. It is very important to do a thorough cleanup if you happen to have encountered a fire, flood, or any such event that causes damage your home. A government organization or a local health and environment department is always a good resource to utilize when you are not certain where the asbestos may present in your home. These professional organizations will also help with their Abatement-Policies for Asbestos that they apply in homes to alleviate asbestos exposure. It is important to choose a professional who is certified to do asbestos removal work. Many home repair contractors do not have this certification; so, make sure to choose a contractor who has completed a state-level Asbestos Safety-Course that includes comprehensive asbestos testing and removal skills. Is Asbestos Dangerous For Health Inside Homes And How Much? Asbestos is a deadly chemical that was used for centuries before people discovered that it causes a variety of dangerous diseases. However, the substance is a wonderful insulator for heat and sound and it was popularly used in homes up until the 18th century. Some people may associate it with a man-made poisonous chemical but it is a natural family of minerals. Learning where the substance may possibly exist in your home will help you protect the health and well-being of people around you. When a person inhales or swallows asbestos particles, they will start lining around the lungs as well as the heart and abdominal cavity. More surprisingly, they will build over many years without showing any major symptom. In certain conditions, these fiber particles will cause scarring and cell changes in the tissues that will possibly cause cancer or can develop other serious illness. Asbestos-related disease affects a number of people every year. So, it is very important to note the common symptoms like cold, flu and virus. These allow asbestos-related disease to progress beyond a certain stage. If you are exposed to these symptoms, then you are advised to have regular medical checkups including lung X-Ray. Additionally, if you smoke and have been exposed to asbestos, it is wise to quit smoking immediately to save yourself from the chances of developing lung cancer. How Can A Homeowner Identify Asbestos? Asbestos can be found anywhere in the home but it is very difficult to detect it at a first glance. In older homes, you can find it in cement, insulation, adhesives, vinyl flooring, sidings, roofing tiles, and textured paints. 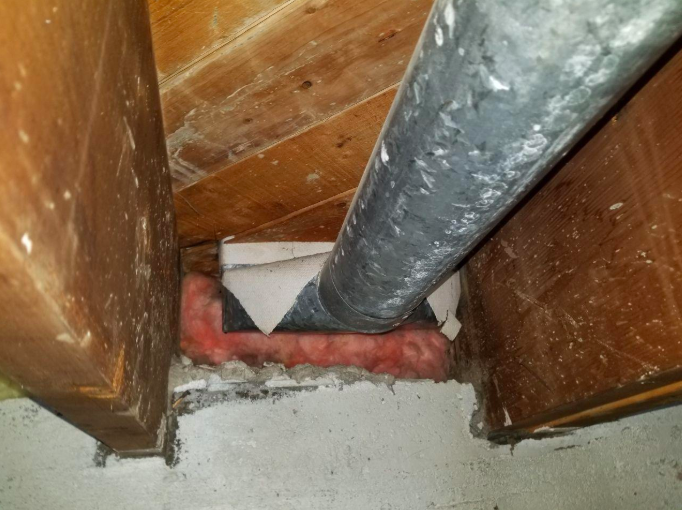 There are some common red flags to look out when working in your older homes especially those build prior the late 1980s. 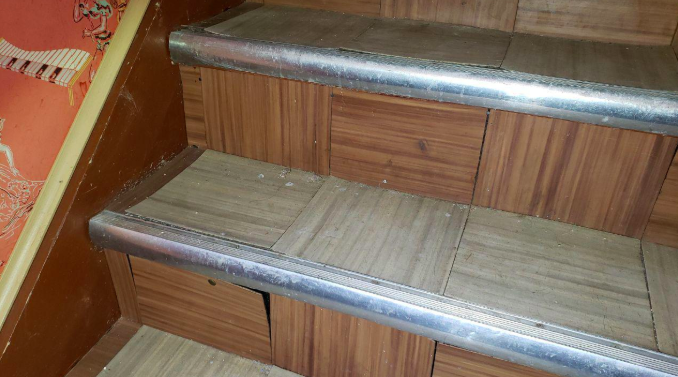 Finding these materials in your home does not necessarily mean that asbestos is present. You can confirm it by testing the material in the laboratories because, as already mentioned, this can’t be seen by the naked eyes. If you find something in your home that contains asbestos, do not touch it. The first rule is – Don’t Mess With It. Look for signs of wear and tear, damages and disturbing material and call a certified asbestos testing professional. You should always take the help of a certified contractor rather than playing with it yourself. You can call your regional EPA Office or a department of Environmental-protection. The best way is to get your home tested and keep your family safe. A number of government agencies and organizations have created guidelines and rules for handling asbestos exposure. For starters, remember to consult an asbestos specialist to confirm that it is asbestos or not. Also, remember that professional and certified asbestos removal contractors can be found throughout the country, only good research is needed. There goes our post on asbestos identification and exposure in your home, as well as its health hazards. I hope this comprehensive guide will help you successfully check the presence of asbestos in your home. My best advice for identifying and removing the asbestos from your home is to not panic and instead, call a professional.